Are you looking for more rigorous phonics sorts? 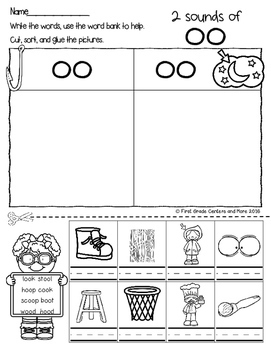 This set requires students to read and write the words before cutting and sorting by phonics feature. It contains 5 of my phonics sorts sets. The sorts work great for phonics lessons, review, morning work, centers, or intervention groups. 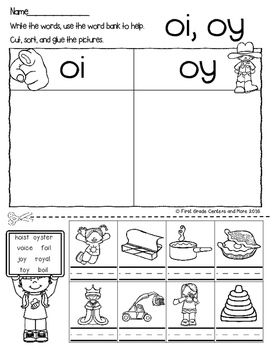 This set contains 9 worksheets for reading, writing, and sorting diphthong words. 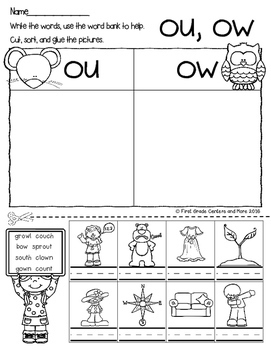 The sorts work great for phonics lessons, review, morning work, centers, and intervention. 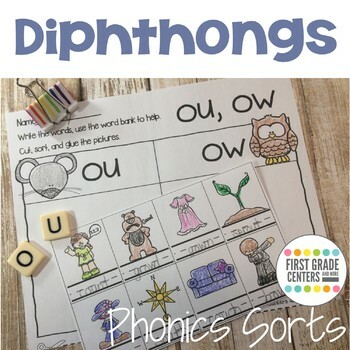 Looking for more phonics sorts? Buy the bundle and save!! !